No sooner than Martin Schulz seemed to have captured political lightning in a bottle, his party fizzled in the first state-level test in the leadup to Germany’s autumn federal election. 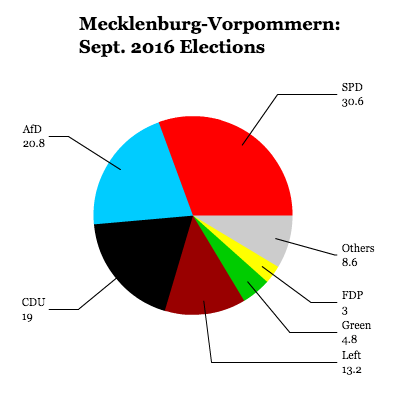 In the southern state of Saarland last weekend, chancellor Angela Merkel’s center-right Christlich Demokratische Union (CDU, Christian Democratic Union) not only won the election, but improved its support since the last election in 2012, giving the state’s conservative minister-president, Annegret Kramp-Karrenbauer, who has served in that role since 2011, a second term. Headlines blared that the narrow defeat somehow marked a defining moment for Schulz, the newly crowned leader of the center-left Sozialdemokratische Partei Deutschlands (SPD, Social Democratic Party), which has pulled into a virtual tie with the CDU in opinion polls for the national vote in September. It’s one of the smallest of Germany’s sixteen states, both in area and in population (996,000). Nevertheless, Saarland’s size isn’t the only reason its election results will have little impact on a federal election still six months away and even less predictive value. It’s true that the state election, the first of three such state-level votes this spring, showed that the CDU’s political power isn’t evaporating overnight. But Merkel and Kramp-Karrenbauer, whose Christian Democrats led every opinion poll in the weeks and months preceding the vote, should have expected to win Saarland’s election. Though the renegade Social Democrat Oskar Lafontaine — one of the founders of what is today the democratic socialist Die Linke ran the state government from 1985 until 1998, when he briefly became Germany’s finance minister, Saarland before 1985 — and since 1999 — has always been friendly territory for the Christian Democrats. 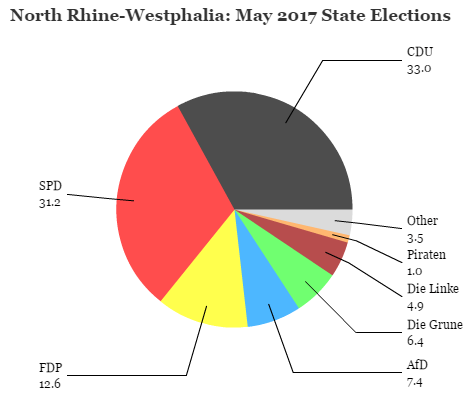 Far more consequential will be the state elections in North Rhine-Westphalia, the most populous state in Germany (with around 17.8 million people) and one of its most wealthy, on May 14 — and in Schleswig-Holstein a week earlier. 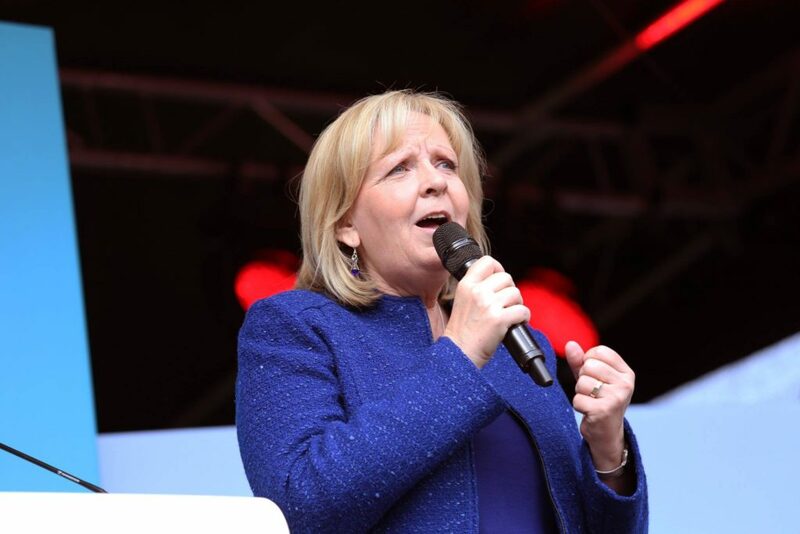 In NRW, Hannelore Kraft, a pro-growth Social Democrat who has often been mentioned as a future chancellor, is hoping to win reelection to a third term (she assumed the office of minister-president in 2010). 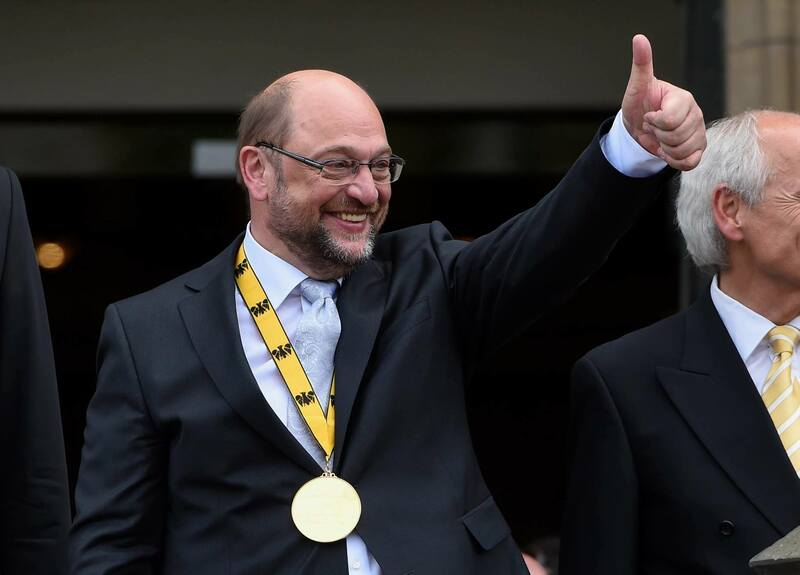 Though the state is historically competitive, Kraft is a popular official, and the SPD has recently taken a meaningful lead since Schulz — who grew up in Eschweiler, a city on the state’s western edge near both The Netherlands and Belgium — became the party’s chancellor candidate. If the Social Democrats fail to hold NRW, it will be a far more depressing harbinger, for many reasons (a fifth of the German electorate, a longtime bellwether, popular SPD incumbent, Schulz’s home state), than the Saarland result. It’s tempting to argue that results from three state elections in Germany on Sunday spell the beginning of the end for chancellor Angela Merkel. 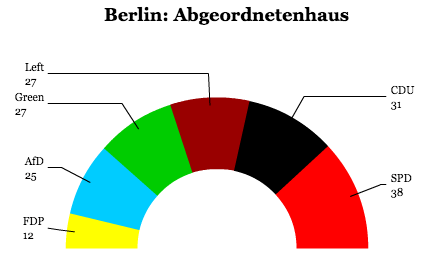 In all three states, the eurosceptic, anti-immigrant Alternative für Deutschland (AfD, Alternative for Germany) won representation for the first time at the state level. 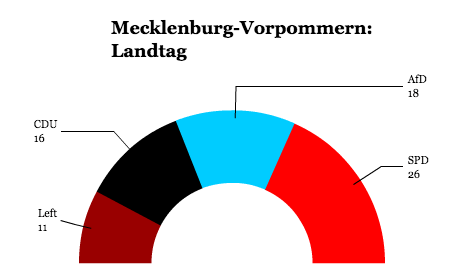 That means that the AfD’s parliamentary presence will rise to eight German state assemblies, with the party poised to enter the Bundestag in the next federal election (after narrowly missing the 5% electoral threshold in September 2013). It’s not the first time that radical parties have made minor gains in elections. In the 1992 Baden-Württemberg state elections, the hard-right Die Republikaner (Republicans) won over 12% of the vote, making it the state’s third-largest party. Hard-right parties have routinely won a small share of the national vote, though never enough to enter the Bundestag. Former East German communists founded what is today the radical leftist flank of Die Linke (The Left) and, despite a quarter-century from the fall of the Berlin Wall, the party (certainly not as hard-left as it was in 1989) is still controversial. It’s true that Merkel has taken a bold stand in welcoming refugees from Syria and elsewhere in the Middle East and North Africa, and that policy has left many German voters concerned that the rate of immigrants — over one million since the migration crisis swelled last summer — is more than Germany society can assimilate culturally, socially and economically. It’s not an unfair concern, so it’s not surprising that the AfD’s popularity is rising. 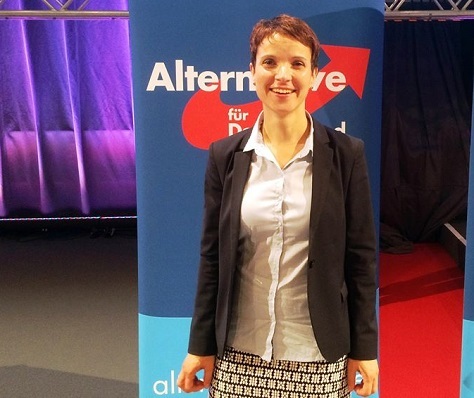 Since its creation in 2013 as a party of mildly eurosceptic academics, it has turned sharply right under a new more hardline leader, Frauke Petry, a 40-year-old chemist and businesswoman whose anti-migration rhetoric has attracted voters scared of the effects of so many new German refugees. The AfD’s turn was so hard that Bernd Lucke, one of the movement’s founders, quit the party last summer. The migration crisis may have been the impetus for the AfD’s emergence, but it’s no surprise that a right-wing alternative to Merkel’s Christlich Demokratische Union (CDU, Christian Democratic Union) is coming into view. She has become Germany’s most dominant politician in a generation by occupying virtually all of the ideological territory on the center-right and the center-left, leaving her right flank somewhat unprotected. Hugging the center-left Sozialdemokratische Partei Deutschlands (SPD, Social Democratic Party) into two grand coalitions since 2005, she’s shown a willingness to poach its most popular policies, including a raise in the German minimum wage. She’s been at the center of difficult battles to keep the European Union united, including last summer’s near-disastrous negotiations to keep Greece in the eurozone. 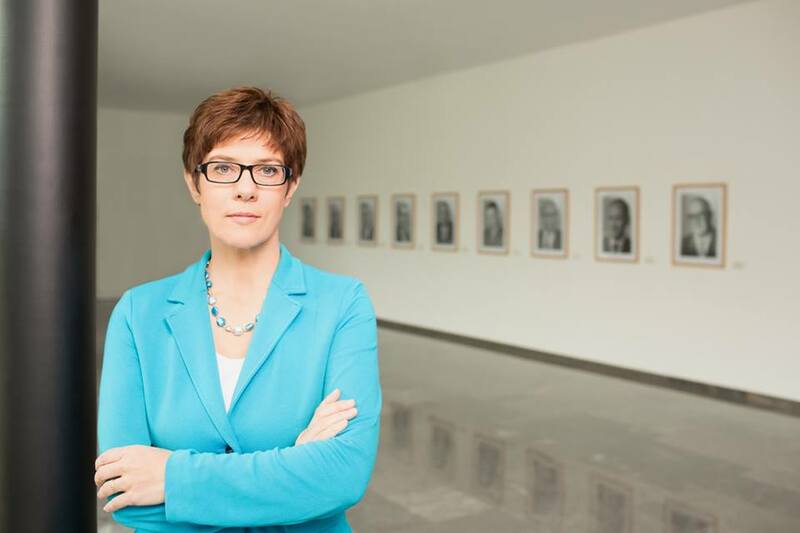 The effect has been that more moderate voters have flocked to the CDU — so much so that she nearly won a remarkable absolute majority in the Bundestag in September 2013. 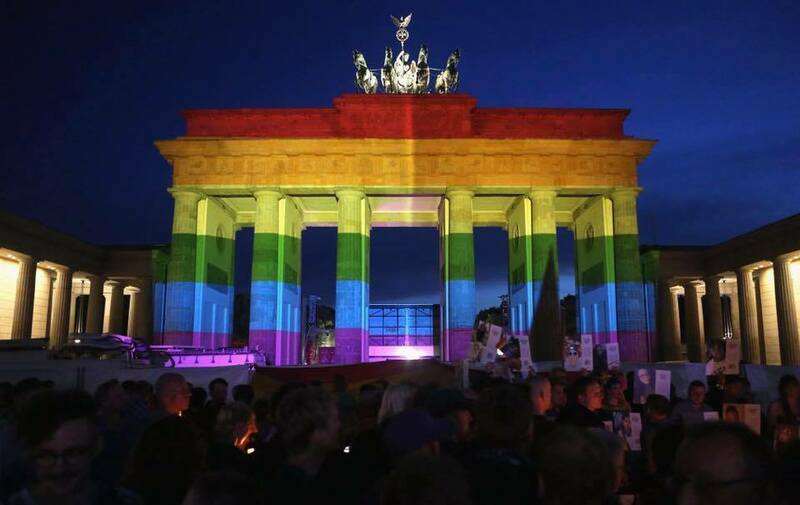 But it also means that voters who want change are turning not to the CDU’s junior coalition partner, the SPD, but to fringe groups, including the AfD. While the AfD’s gains are real, and they shouldn’t be ignored, neither should they be overstated. Far-right politics in Germany have existed for years, and while it’s true that the AfD clearly took votes from the CDU in Sunday’s state elections, it also appears that the AfD draws from far-left voters in eastern Germany and from disaffected SPD voters in western Germany. The three states that held elections on March 13 couldn’t be more different, and it’s a risk to make blanket statements about the future of German politics through generalizing the results of Sunday’s elections. It’s a slow election year in Germany, so there will be few tests at the state level for chancellor Angela Merkel, her center-left ‘grand coalition’ partners or any of the various challengers to Merkel’s hold on German centrism. 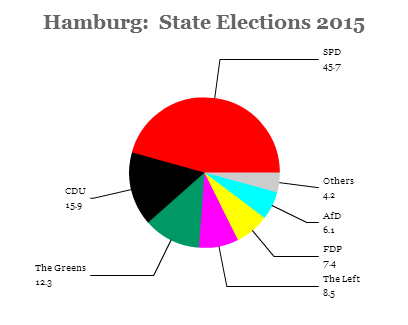 That makes the results from Sunday’s election in Hamburg, a city-state in the German north, perhaps more important than they otherwise would be, and it’s not great news for Merkel’s center-right Christlich Demokratische Union Deutschlands (CDU, Christian Democratic Union), which won just one-third as much support as its center-left rival (and partner in federal government), the Sozialdemokratische Partei Deutschlands (SPD, Social Democratic Party). 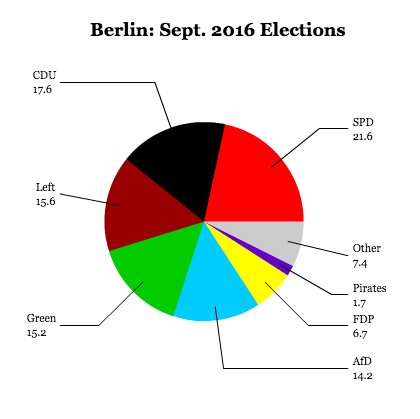 The CDU and the SPD continue to be the largest of Germany’s political parties and, notwithstanding the fact that they have joined together in the second ‘grand coalition’ in 10 years, the two parties fight fiercely at the state level and will contest Germany’s next national elections later this decade. 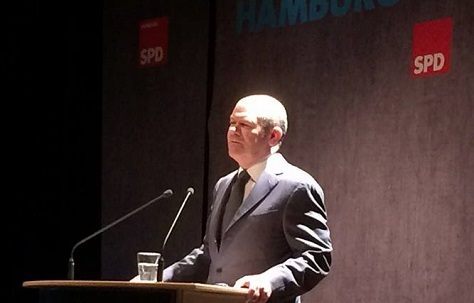 Nevertheless, it wasn’t unexpected that the SPD, under the leadership of Hamburg first mayor Olaf Scholz (pictured above), would easily win the election. 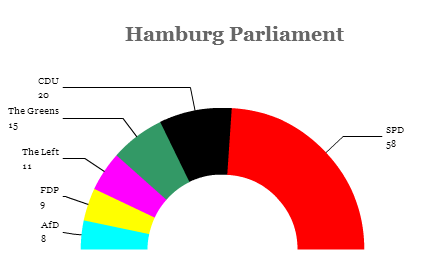 Though the SPD lost four seats, enough to deprive it of its absolute majority, Scholz will almost certainly form the next government, likely with Die Grünen (the Greens). 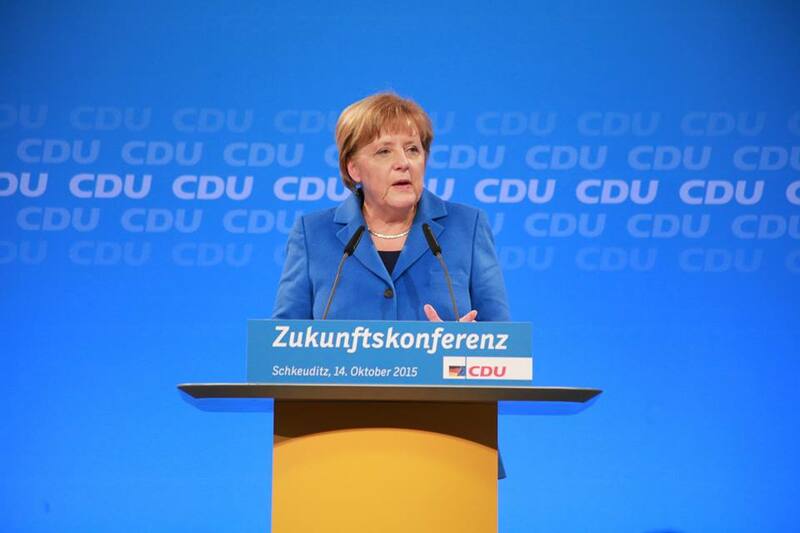 In an overwhelming endorsement of Germany’s new grand coalition, party members of the center-left Sozialdemokratische Partei Deutschlands (SPD, Social Democratic Party) have approved the governing agreement between the SPD and chancellor Angela Merkel’s center-right union. Nearly 370,000 German party members approved the agreement by the lopsided margin of 75.96% in a vote that was held over the past two weeks, the results of which were announced earlier today. 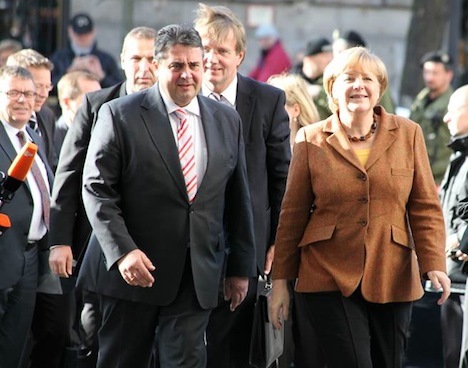 The vote followed the November 27 agreement struck among SPD leaders and leaders of Merkel’s Christlich Demokratische Union Deutschlands (CDU, Christian Democratic Party) and Merkel’s Bavarian allies, the Christlich-Soziale Union (CSU, the Christian Social Union). Expect Merkel to name a new cabinet within the next 24 hours, and expect her formal reelection as chancellor to come early next week.